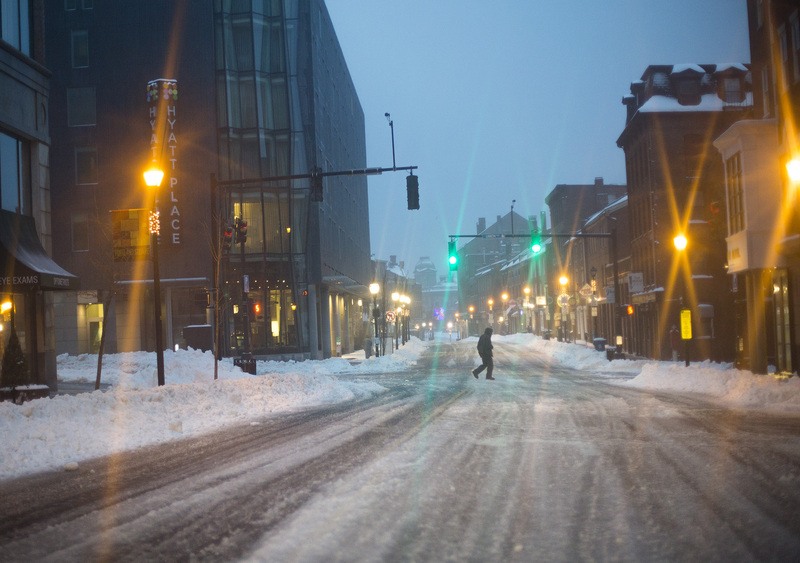 Mari Balow exercises in Monument Square on Wednesday morning after snow had turned to sleet. 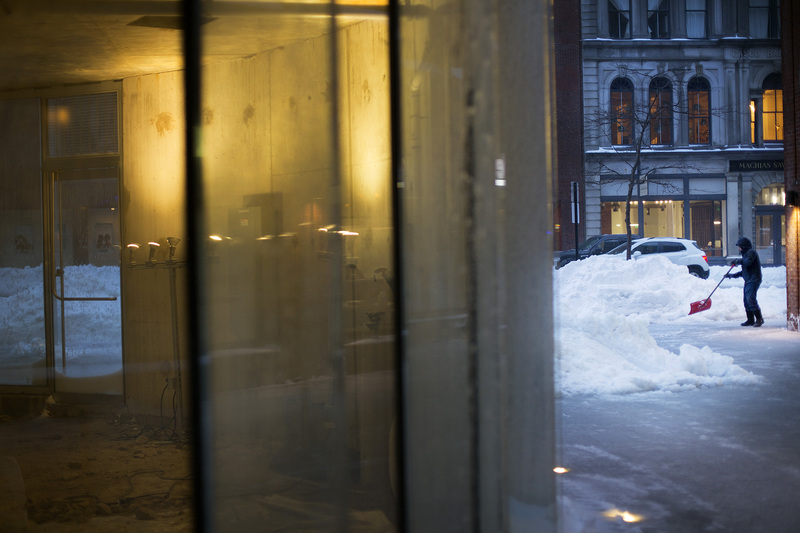 Balow was leading a group from Portland Sweat Project, a group that meets on Wednesday mornings in Portland to exercise. 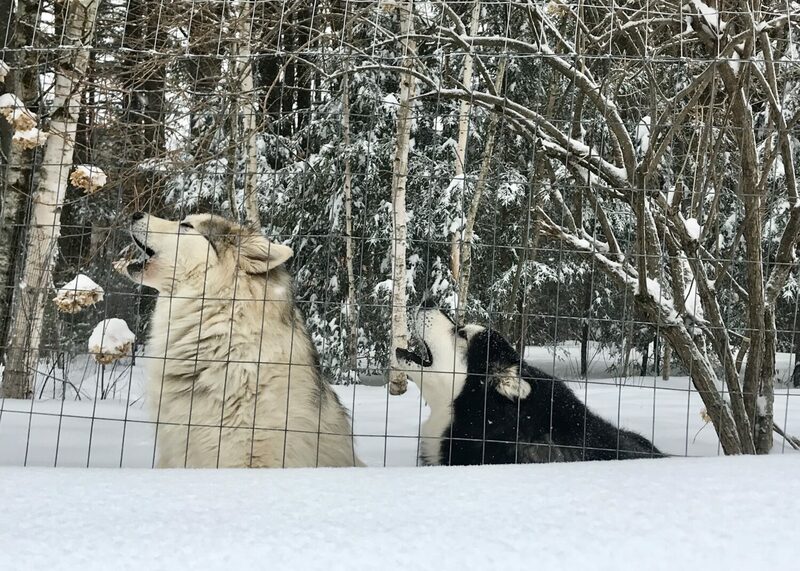 Loki, a 5-year-old Alaskan malamute, and Schatzi, an 8-year-old Alaskan malamute/German shepherd mix, love the snow and sing their songs on Wednesday, according to their owner, Elizabeth Hamilton of North Yarmouth. 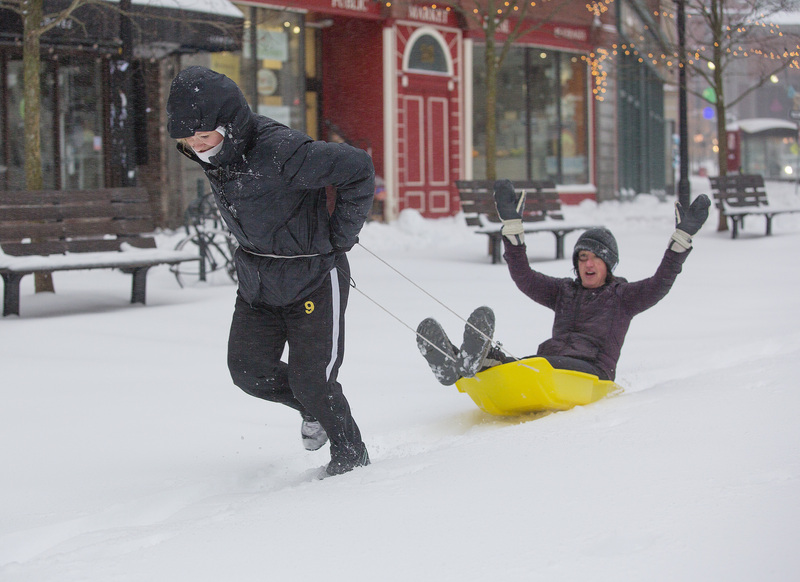 Bailey Dantonio pulls Mari Balow on a sled through Monument Square on Wednesday morning. 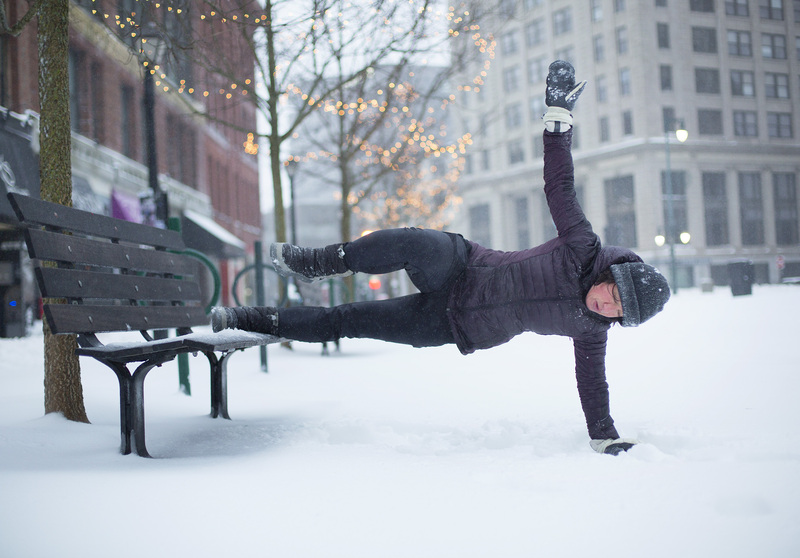 The two were part of Portland Sweat Project, a group that meets on Wednesday mornings in Portland to exercise. 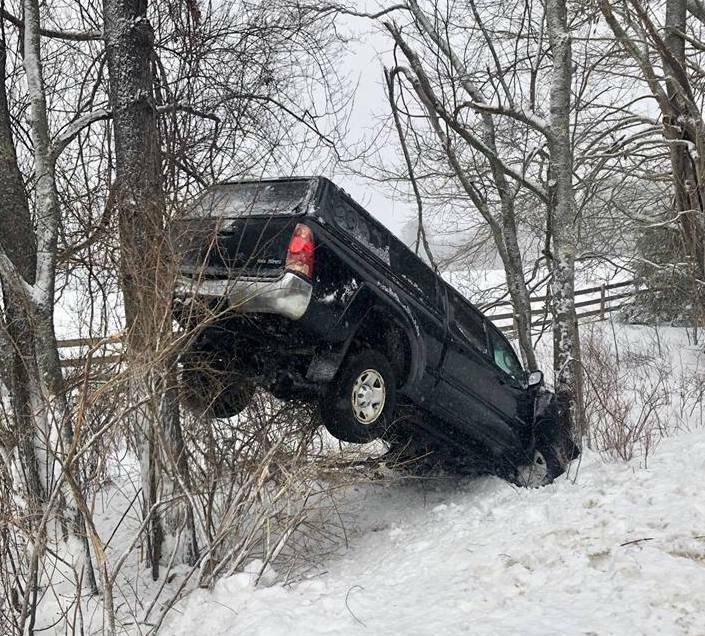 The two occupants of this vehicle suffered minor injuries in a crash on Greely Road in Cumberland on Wednesday, the Cumberland Police Department said. 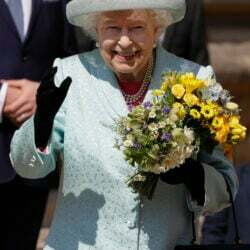 They warned that roads were slick. 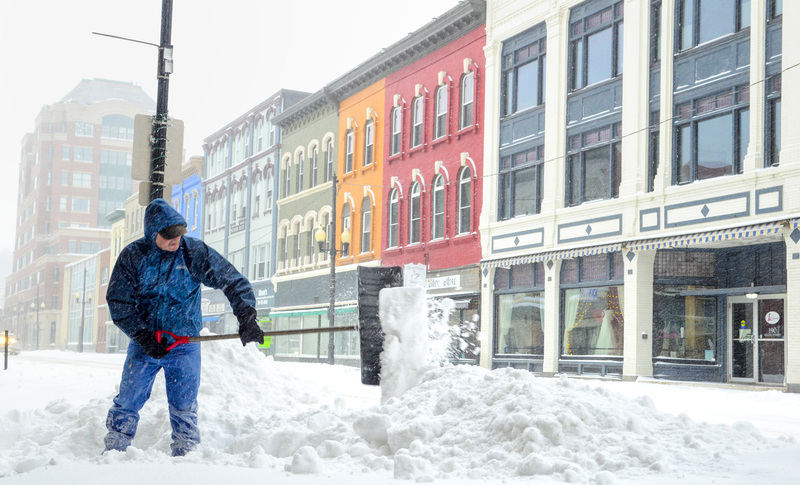 Clinton French of Plant and Grow Landscaping shovels snow at Canal Plaza on Wednesday morning. 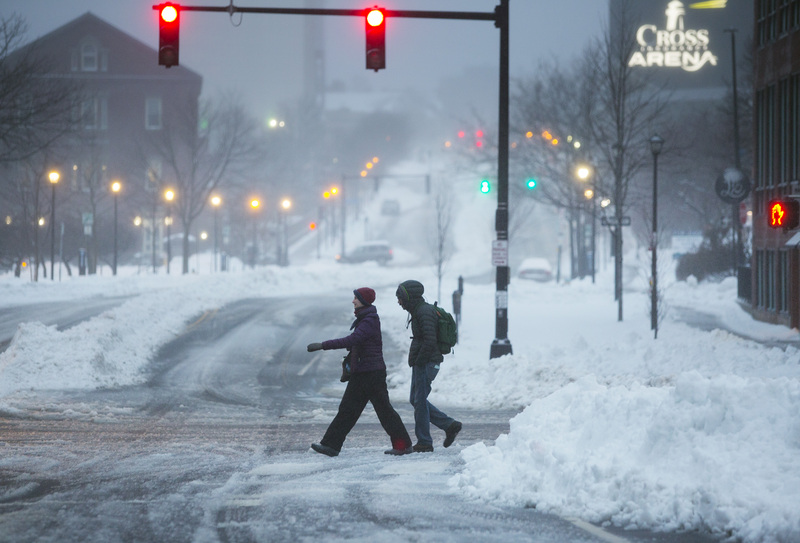 A pedestrian crosses Fore Street in Portland on Wednesday morning after snow had turned to sleet. 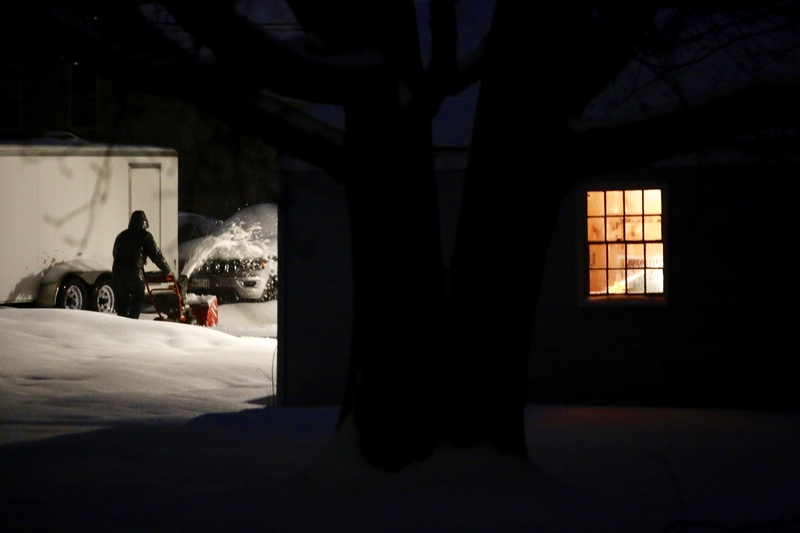 Brent Todorich of Scarborough clears heavy, wet snow from his driveway in the rain on Wednesday morning. 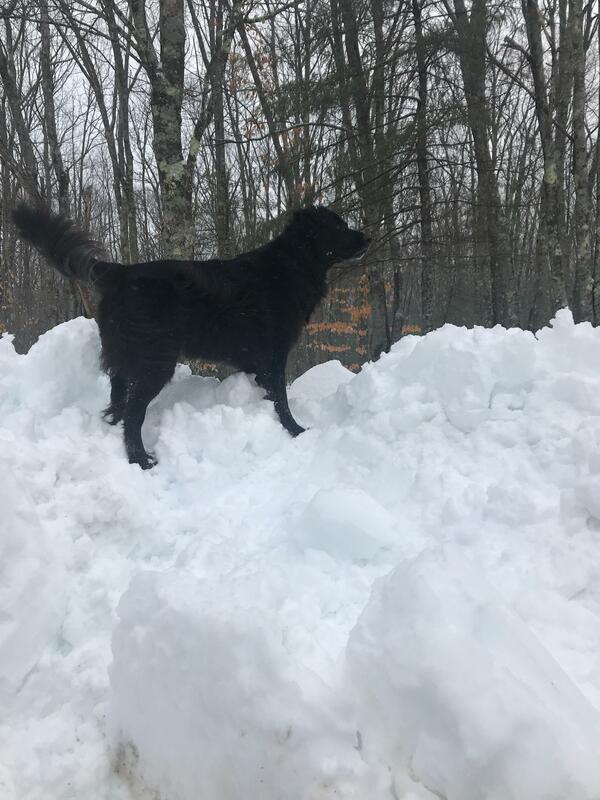 It's over, Winter! 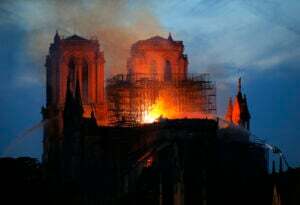 Arwen from Hollis has the high ground. 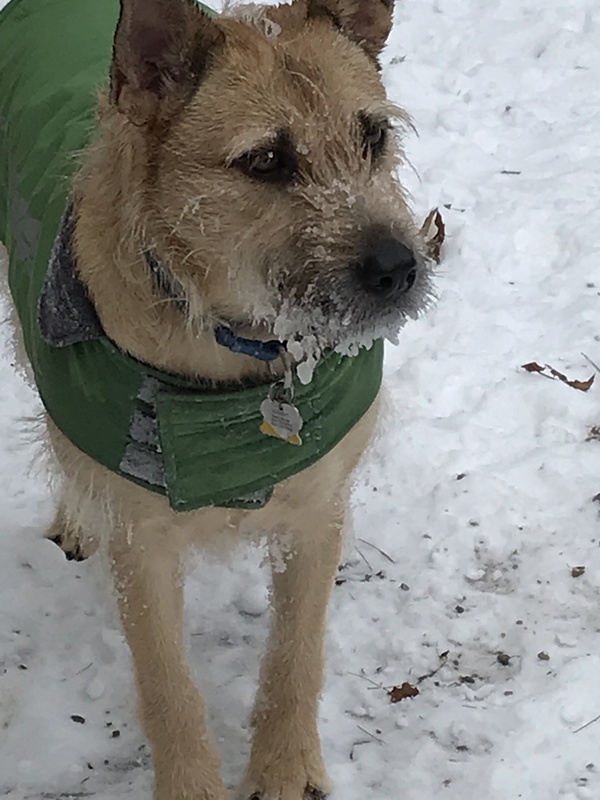 Sandy from South Berwick has a heavier beard this morning. 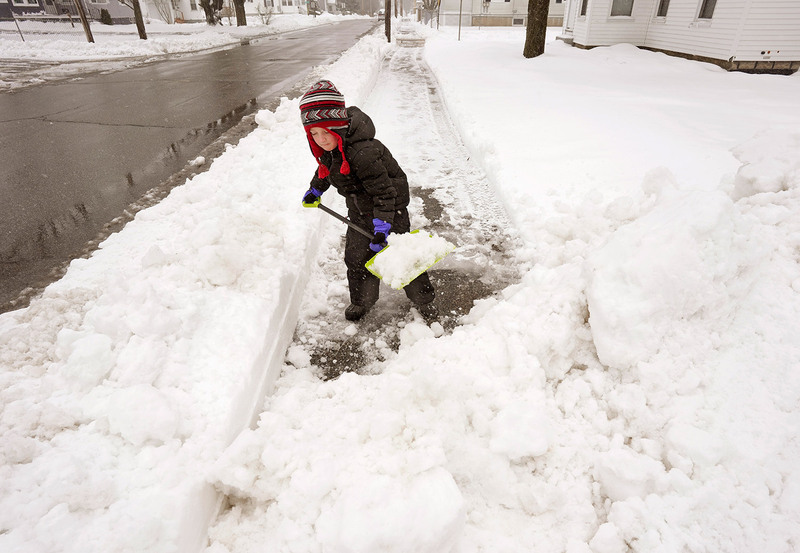 Evan Jarmolowicz, 6, helps his neighbors shovel snow in Biddeford on Wednesday.